Yes! Rich, natural strength and beauty to last a lifetime in the name of hardwood floors is all that you need. They come with a lot of benefits, perhaps other reasons to choose hardwood floors in Bergen County New Jersey and Majestic Floors Inc to install them. As humans, we typically tend to overlook those factors that can consume a massive part of our wallet in home decor, and wooden flooring isn’t any different. In fact, with marble, carpet and linoleum floors being choose and install, hardwood floors are just as rare as they come. But, what if I told you that the benefits of hardwood floors outweigh the hefty installation costs? As polished as they are, most of the many hardwood floors create an elegant and inviting touch. They have that unique and innate appeal that lasts for generations. As our name implies, Majestic Floors Inc is acutely aware of beauty wood floors can project and will help you install and maintain them. In 2017, rev up your home’s decor using one of the many hardwood flooring trends. All floors made of wood not only resist scratches and stains, but can also withstand frequent pest attacks. Carpets wear out quickly, while all others can’t last as longer as floors made from the hardest planks of wood. Of course, you understand how fast standard floors wear out in high traffic locations, don’t you? For the record, hardwood floors are among the most loved flooring material types, and the reason isn’t a wild guess. There are over a hundred incredible designs, possibly more than any other kind of wood floor. Majestic Floors Inc has installed hundreds of floors in our decade of experience, surely we can install one for you that will blow you away. Hardwood floors bring that rare aesthetic touch, especially when you are expecting to sell the house. However, it’s the maintenance that serves as its primary talking point. A regular sweep following by a damp mop once or twice per day and you are ready to go! Having a pet may seem a grand idea, until when your friend doesn’t appear to be going well with your floor. However, hardwood floors and pets are a match made for each other. It is a sturdy surface, easy to clean and maintain, yet soft, warm and friendly for their paws. Every house is unique, and so should the floor. Installing this floor type means that you would like to be different. 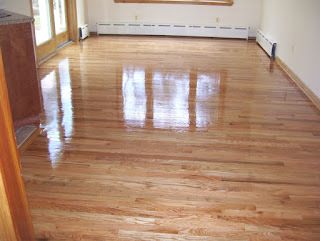 You choose the wood type, the color, and the finish, Majestic Floors Inc can take care of the heavy lifting. 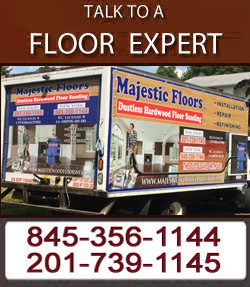 So, if you are for ageless quality, better look no further for hardwood floors in Bergen County New Jersey than Majestic Floors! For more information, please don’t hesitate to call us today at (201) 739-1145. Hardwood floor might be the best floor you have ever installed in your house, but just like any other good thing, it needs maintenance. Majestic Floors has been the best floor installation and maintenance company for many years. If you want your wooden floor to last for long, there is a certain upkeep you have to do once in a while. Installing a hardwood floor requires a professional and by extension so does maintaining it. Some people believe in doing things the DIY way, and it is good but when possible, let professionals at Majestic Floors do the job. Doing it yourself might be easy and it might even save you some cash, but some pose certain risk without professional training. A hardwood floor, for example, might require sanding. This is something that you can do yourself and save some money in the process, but it is even better when done by a professional. Majestic Floors in Ramsey New Jersey can come in to assess the risks involved in wood floor sanding in Ramsey, NJ and elaborate everything for you. You might not hire them, but it is worth it to get some insight from a professional. Professionals have been make a living out of these jobs, so they know best how to take care of your floor. Whether you like it or not, there are certain things that you might not know about your floor or what sanding process that you want to embark on. It doesn’t matter how long you Google or how much information you have but there is a touch that professional companies will give you that will be different than when you do it yourself. Wood floor sanding in Ramsey, NJ is a critical process because if you do it incorrectly, you risk damaging your floor or decreasing the life of the floor. Wood floor is not something that you want to mess around with if you are not sure of what you are doing. The equipment used for wood floor sanding should be handled with a lot of care, and that is something the professional understands inside and out. Using the machines after reading the user’s manual might seem very easy, but you might end up overdoing things and damaging your floor. This is one of the reasons why you should get a Majestic Floors to do the job for you and you can be sure that you will love what they end up doing. After the sanding process, some materials are applied on the floor. It might seem easy, and you might say it is just application because the hard part is already over. All these have their fixed amounts and application methods. If not applied carefully the DIY job may end up decreasing the life of your wooden floor. Some of the materials are not supposed to be applied on your type of wood floor, but you just Goggled and thought it is okay to apply them. To avoid potential disasters and confusion, get Majestic Floors to do it for you and you will not regret it at all.